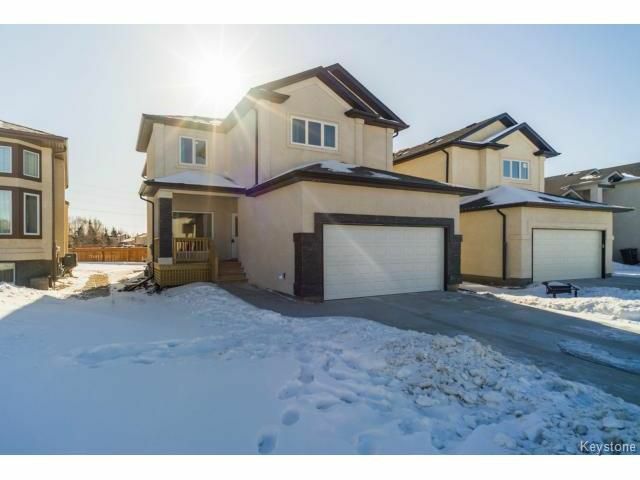 This 2251sf two storey has plenty of space for the growing family and more. Walking in you are greeted with gleaming hardwood floors throughout the main level. The oversized pantry leading from the double garage to the kitchen is a prime example of function at its finest. Main floor laundry as well as main floor two piece bath. The kitchen with island peering into the living room is equipped with granite counters and marble backsplash. Stone accents are featured throughout the living space as well as the new fireplace in the living room. Walking upstairs you will be pleased with the upgraded plush carpet that adds to the warmth of this home. Be pleasantly surprised by the size of the bedrooms as well as the generous loft area that can be used as a second sitting area. The 2nd floor baths have been upgraded with granite counters and tile. The master bedroom features a full ensuite and walk in closet with wood organizers. Move in and enjoy!